Description: Illegitimacy can be both a surprise and an embarrassment as we discover more and more about our family’s history. Treated with care and sensitivity, we can use many available resources to help us in our research. Nearly all families have children with seemingly missing fathers. Yet, there may be clues and resources to help us determine their ancestry. Peggy Clemens Lauritzen, AG, was involved in genealogy before she was even born. The daughter of avid genealogists, she was spending time in courthouses and cemeteries while other children were playing on swings and going to the beach. The love of her family's history has never left her. 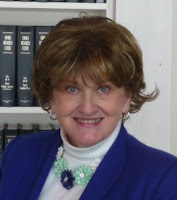 With her experience as a Family History Director, she frequently speaks at genealogical societies, workshops, seminars, and webinars where she loves bringing genealogy to life. Some of those would include The Ohio Genealogical Society, The Ohio State University, Brigham Young University, and many other state and local genealogy societies. She has recently completed several Legacy QuickGuides on Appalachia, which are also available on www.legacyfamilytree.com and www.amazon.com, and is an instructor at Ancestry Academy. Recording and Handout Available to ISGS Members: For ISGS members who cannot attend the live webinar on August 9th, a recording of the webinar, along with the handout, will be made available in the Members Section of the ISGS website at http://ilgensoc.org/members.php. If you're not already a member of ISGS, visit Join ISGS! at http://ilgensoc.org/cpage.php?pt=8 for more information.